HMA and KMA submit vehicle production orders to the manufacturer which determines the vehicles shipped and listed in the vessel manifest. 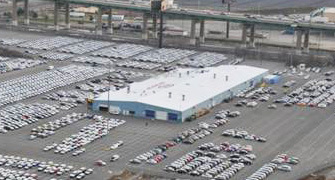 Vehicles are then discharged at a port and moved to a First Point of Rest to be surveyed for damage and allocated either to dealerships or inventory. Vehicle survey and purification information is updated into port processing system with an updated manifest. After vehicles have been surveyed for damages and purified, vehicles are allocated for PIO’s to dealerships or inventory for storage. Vehicles allocated for inventory receive a 90, 180, 270 or 360 maintenance service to ensure that vehicle quality is maintained. Bar coded work orders are generated by the VPC to specify services to be done to each vehicle. 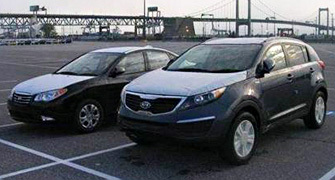 Monroney labels are printed and placed on each vehicle. Vehicles are then processed to be washed, fueled and then sent to through the VPC assembly line for PIOs based on work orders provided. The vehicle processing ensure that each work order service is performed for final inspection. Final inspections are performed after all processing is complete. The rejected vehicles will cycle through the process again until the vehicle passes inspection. 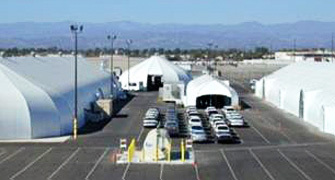 After vehicles pass final inspection, vehicles are then moved to the staging area for dealer transport either through direct trucking or a combination of both rail and trucking. 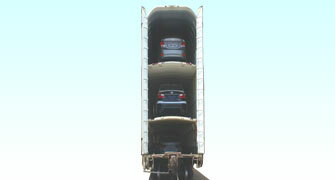 After vehicle inspection, vehicles are then either “tendered” to a car carrier or “released” to a rail carrier. All vehicles are inspected again by either truck or rail carriers before loading. 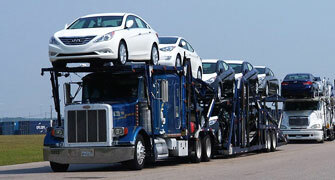 Truck carrier – Truck carriers delivery vehicles directly to dealerships. Rail Carrier - Rail carriers are directly connected to port locations for loading to destination rail ramp where truck carrier will complete the final dealer delivery. : Handling storage, PIO(Port Installed Option), PDI(Pre Delivery Inspection), body shop, mechanical repair, etc.